Life Lessons from Steve Jobs | Valet. When you think of Steve Jobs, what often comes to mind is success, innovation and a certain steadfastness in his convictions. Qualities to which we should all aspire. 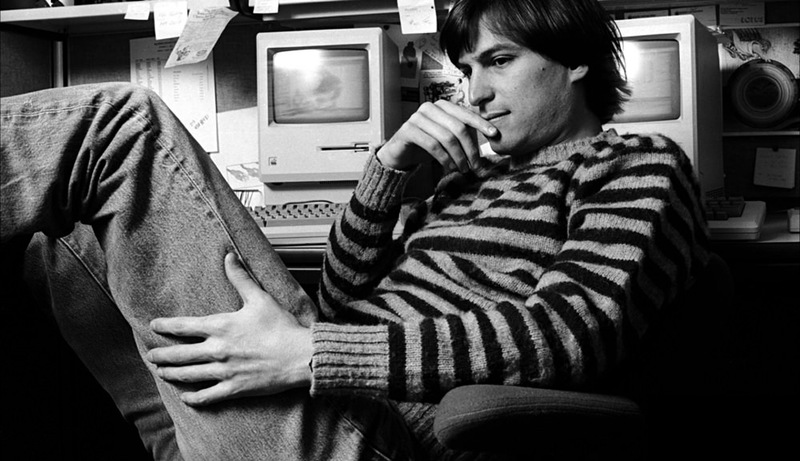 The iconic Apple co-founder would've been 61 this month. And while he certainly left a mark on the world with his company's products, he also left a legacy with his ideas and outlook on life. It's a philosophy that continues to inspire and motivate. Herewith, some straightforward advice from the man who knew, maybe better than anyone, how to get the most out of life. "Don't let the noise of other's' opinions drown out your own inner voice." Quality is much better than quantity. One home run is much better than two doubles." "My model for business is The Beatles. They were four guys who kept each other's kind of negative tendencies in check. They balanced each other, and the total was greater than the sum of the parts. That's how I see business: Great things in business are never done by one person, they're done by a team of people." "Getting fired was the best thing that could have ever happened to me. The heaviness of being successful was replaced by the lightness of being a beginner again." I have looked in the mirror every morning and asked myself: 'If today were the last day of my life, would I want to do what I am about to do today?' And whenever the answer has been 'No' for too many days in a row, I know I need to change something." "You can't connect the dots looking forward; you can only connect them looking backwards. So you have to trust that the dots will somehow connect in your future. You have to trust in something—your gut, destiny, life, karma, whatever. This approach has never let me down, and it has made all the difference in my life." "I don't care about being right, I just care about success. You'll find a lot of people that will tell you I had a very strong opinion, and they presented evidence to the contrary and five minutes later I changed my mind. I don't mind being wrong ... what matters to me is that we do the right thing." The home where Jobs grew up and served as the original headquarters of Apple Computer is now a historic landmark. Honest, insightful wisdom from the legendary funny man.